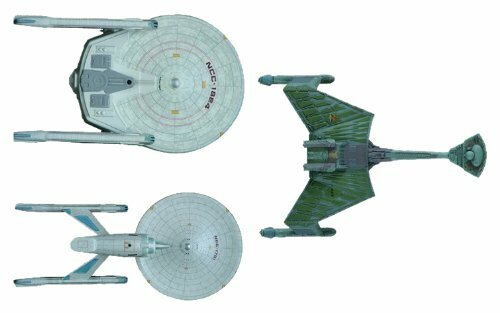 Three starships featured in the first 2 Star Trek films, Star Trek: The Motion Picture and Star Trek II: The Wrath of Khan, join AMT's Star Trek Cadet Series model line with the Star Trek Motion Pictures 1/2500 Scale Kit Set. This set includes three mini snap kits: the USS Reliant from Star Trek II, the Klingon K'tinga-class D7 from Star Trek: The Motion Picture and refit USS Enterprise seen in both films. These simple kits are perfect for beginners and the come with decal sheets to complete each model. Made of injected white and gray pieces, some paint and glue are required to finish each model.